As some one said, “A bank is a place where they lend you an umbrella in fair weather and ask for it back when it begins to rain.” It is funny, yet it is true. According to Ernst & Young and it’s 10 commandments for businesses this year, Enterprises should focus on its cash assets via cost reduction. Manage it well as it is the most precious asset that businesses hold. Ensure that even if your revenues are dropping, you have sufficient cash to meet your obligations. Secondly, pay attention to risk management as unidentified risk can lead to catastrophic results – shown by 2008. Try to ensure that effective risk management is tied directly to business priorities. Secure Your Data: Hard times always generate an increase in security exposures. New Year is a good time to review your security — and remember to include a review of physical security of data and all hardware on which it resides, from servers to laptops to handheld devices. Perhaps the most ignored area by Enterprises is the test data management practices, most security leaks tend to originate from here. Rationalize Your Applications: Organizations tend to accumulate obsolete applications. This is an excellent time to conduct a review of all apps in the environment with an eye to consolidating the product portfolio, and establishing and enforcing corporate standards. This can save money on unneeded software licenses, hardware to run that software, and personnel to manage it. Manage Your Information Lifecycle: Enterprises should embrace data archiving to move older data to a lower, less-expensive storage tier, along with data purging, thus making production applications leaner and improving overall applications performance. Virtualize Your Environment: PC, server, and storage virtualization is growing in use and will be fostered by the tough economy as organizations make the most of the spare capacity they have in-house. Storage technology, server operating systems, and ITOM are among the segments that will benefit from virtualization. You will be better off starting with ILM before virtualizing, as ILM makes the infrastructure lean and makes the Virtualization projects less riskier and easier to implement. Institute Green Management Practices: Reducing power and cooling, minimizing printing and paper use, recycling, disposing of old equipment properly, and other Green operations methods can save money and have other business benefits while also decreasing environmental impact. Implementing ILM, Virtualization and Test Data Management can cut the servers & storage, this could be the first step to introducing Green IT to your data center. Finally, we want to express our sincere appreciation to our customers, partners, and our employees, who have helped us make 2008 a great year, in spite of the tough economy. We wish them and their families the very best for 2009. 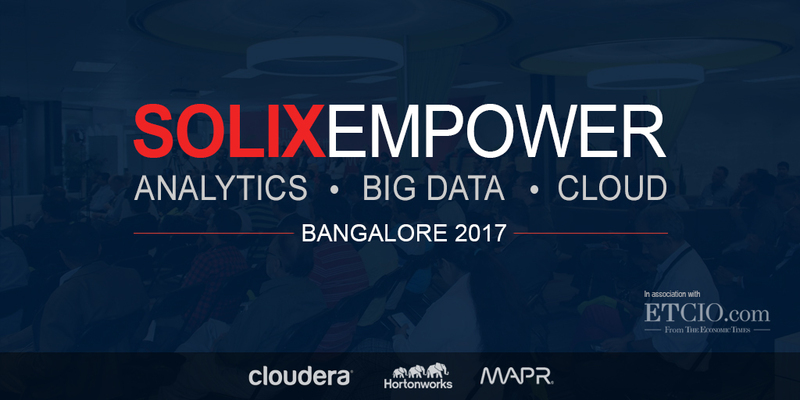 This will be a happening year for Solix, as our technology rightly fits to the need of the hour for many enterprises.